I recently purchased a Mac Pro to replace the old cheese-grater Mac Pro I’ve had since 2009. When moving cables from my old Mac to the new one I was stumped when it came to plugging in a Toslink audio cable that I’d used in the past to capture high resolution audio from a device in my office. 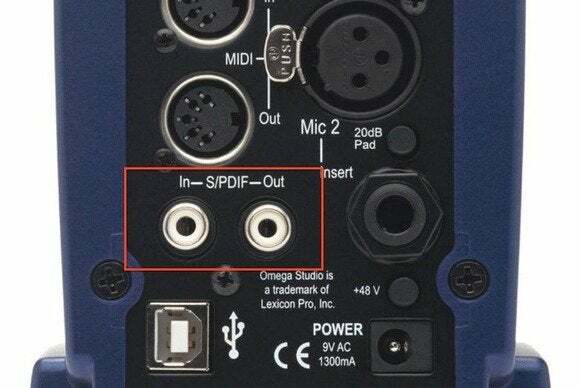 In fact, I don’t see any audio input jack at all, much less a Toslink connection. How am I supposed to do this now? You’re correct that the Mac Pro has no audio input. When designing the smaller Mac Pro I suspect that Apple looked at the old Pro models and considered which ports were used by the fewest number of people. Clearly the optical audio in and out ports were prime candidates for cutting. That doesn’t mean the cylindrical Mac Pro isn’t good for audio work. Rather, Apple simply expects you to use a just-as-professional audio interface for moving sound into your Mac. Regrettably, an interface that features digital input isn’t cheap. You can expect to pay $150 and more for such a USB interface. Less expensive USB audio interface feature coax digital audio inputs.